In this digital world, most of the people are using internet connection for media streaming, browsing, gaming purpose and many more. Thus, both the internet speed and Wi-Fi have improved significantly over the last years. With the help of more reliable wireless connections, data speeds have become faster across the board. But these Wi-Fi connections are also not immune to issues. If you are experiencing lags while streaming online videos or playing games online, then it might frustrate you. To get instant solutions for troubleshooting this Wi-Fi connectivity issue, you can follow the steps mentioned in this article. 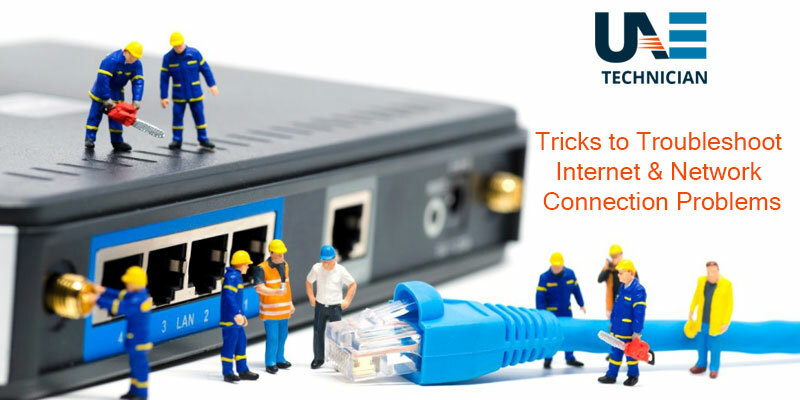 If you want to troubleshoot and fix this issue, you need a proper understanding of how the devices which you are using normally can be connected to the Internet. Undoubtedly, the internet connectivity problems are quite frustrating especially when it causes disruptions while you are trying to load your favorite website. Instead of going into panic mode, it’s better to take the advice of an expert to resolve this internet connectivity problem. Before getting too much involved in making calls to a technician, you can check out the troubleshooting steps described below to get solutions for your internet connectivity issue. Resolving this problem involves the elimination of each of these possible areas and that too in a systematic manner. 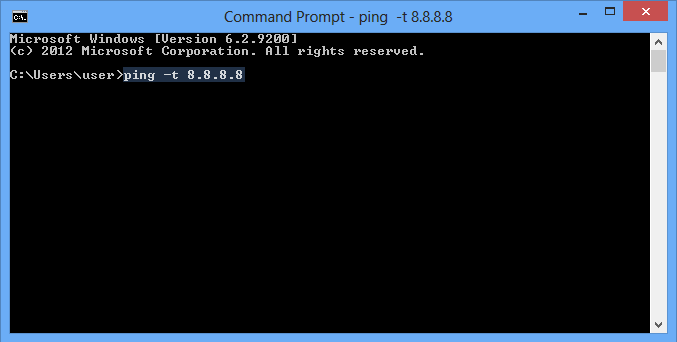 With the several Ping utilities available, the best and easiest way to ping a website is- Open “Command Prompt” and type “Ping” in it. It should be followed by the IP address of the website, which you want to ping. It will send small data packets to the target site and ultimately measure the speed of your internet connection in milliseconds. If the test becomes successful, you will be able to view the timed results but in case it fails, try to ping on several sites because not all websites accept pings. Take a look at your router’s LED status indicators to make sure whether your device is connected to the internet. If you find that there are no lights at all in your router, then there are chances that your router is powered down or probably unplugged. Therefore, it is advised to disconnect the power cord at first and then reconnect it after 1 or 2 minutes. If still, the router does not turn on, then you might have a faulty power strip, a defective power adapter or a faulty router. On the other hand, if you have a cable or DSL, you must check that the modem is getting power. Routers can use any of the 14 frequencies or channels for sending and receiving data over the widely used 2.4 GHz band. Generally, the channels which are being frequently used by the routers do not overlap. On the other hand, if you find that the Wi-Fi connection is spotty, then there is a possibility that you might be encountering interference in the channels. So, it is instructed to try using the router-management console in order to change the Wi-Fi channel. Before you plan to reset your router or call any technician, first, inspect the connection which is located either at a corner in your house or housed in an enclosure. If a cable splitter is used, then ensure that the connectors are crimped properly and that each connection is tight. Also, check if your splitter looks dirty or rusty. If found so, you need to replace it immediately. The firmware allows the router hardware to implement security and network protocols. Most of the vendors offer downloadable firmware updates to resolve the performance issue. You can also look for firmware update tools in the system section of your router’s management console. Ensure that you have installed the correct and updated version of the firmware. It is also advised to not download the firmware from any third-party site. Read –How to update router firmware to improve speed. If you are able to browse the internet through your PC but unable to connect it via any other device or mobile, then check the network settings in the problematic device. In the case of smartphones, go to the settings of the Wi-Fi and enable it by using the correct security password as well as proper SSID. Also, make sure that your time and date in the device is correct and the Airplane mode is disabled. On the other hand, if the problem is occurring on Windows, then make sure that the device is not in Airplane Mode. Furthermore, assure that the Wi-Fi is turned on. With the use of the internet, check whether your device is affected by any virus, spyware or malware. These programs are easy to download, install and thus, these can easily affect your device. So, it is instructed to download and install the up-to-date version of your antivirus software to eliminate these internet connectivity glitches.